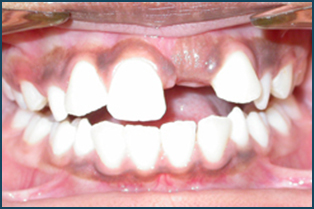 Delayed eruption of a permanent tooth may be a significant concern for patients. 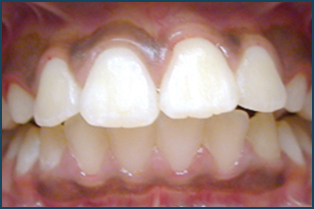 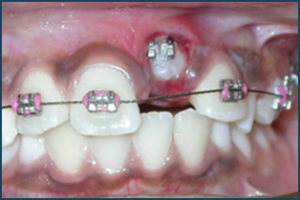 Teeth that have delayed eruption may be unable to erupt into the arch because they are malpositioned and impacted. 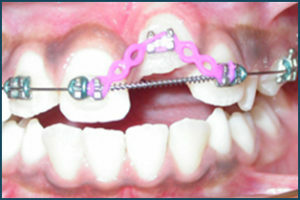 These teeth need to be exposed surgically to place a bracket so the orthodontist can attach a wire or an elastic band to re-direct the tooth into the arch. 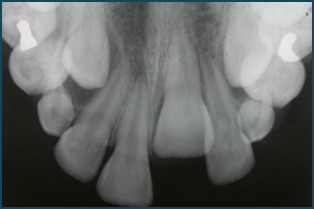 The following pictures show how an impacted tooth is able to be guided into its normal position by this procedure.